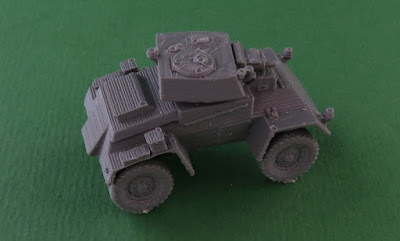 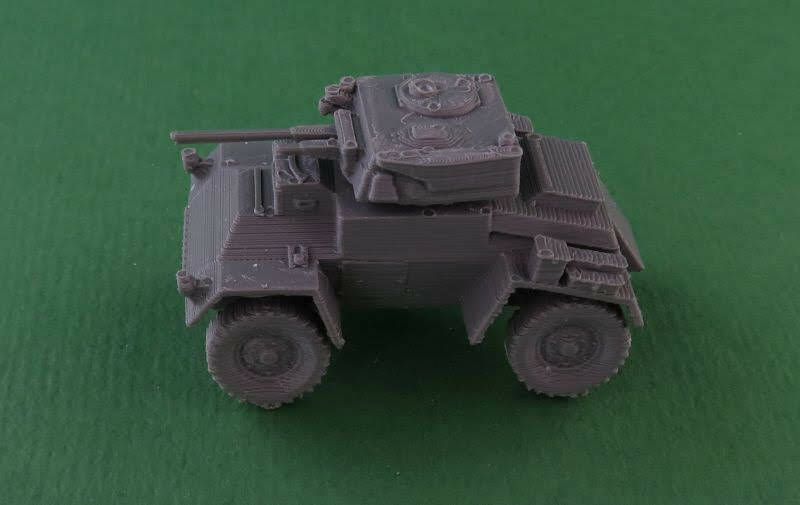 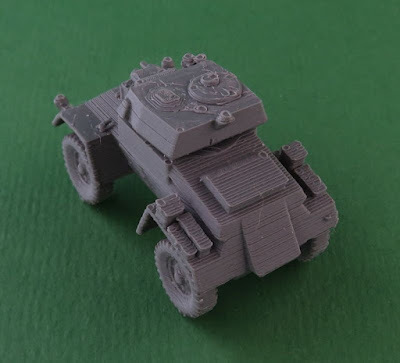 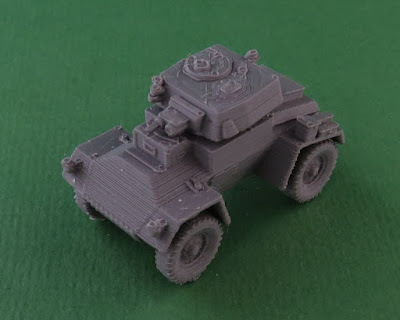 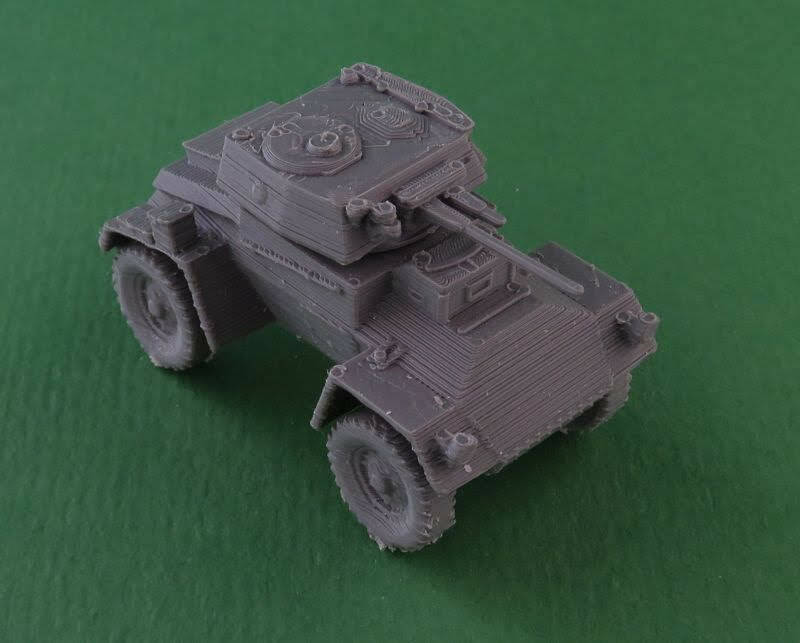 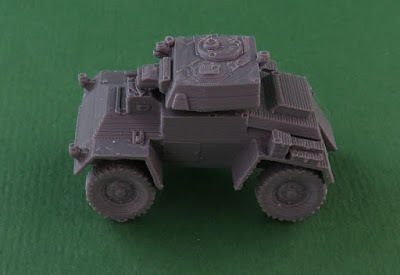 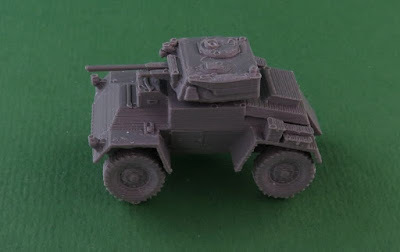 One British WW2 Guy Armoured car. Available in 6mm (1/285), 12mm (1/144), 15mm (1/100), 20mm (1/76) and 28mm (1/56). The Guy Armoured Car was a British armoured car produced in limited numbers during Second World War. The car saw limited action during the Battle of France.